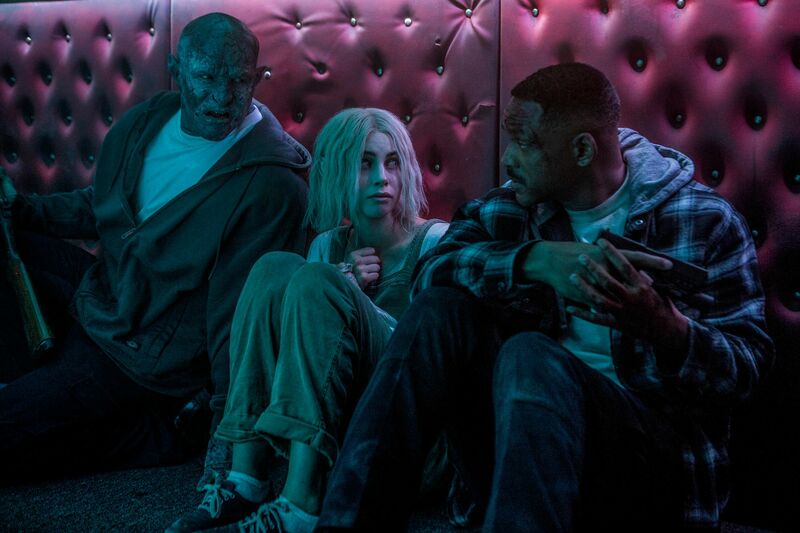 With Netflix releasing the action-thriller Bright on December 22nd, the other day I got to sit down with director David Ayer for an exclusive interview. He talked about what it was like working for Netflix on their first big budget original movie, the editing process, what he learned from test screenings, how he crafts his action scenes, and a lot more. In addition, he talked about the status of Gotham City Sirens, if there are a lot of deleted scenes from Suicide Squad that have still never been released, and his next project. Finally, one of the coolest shots in Bright is a random establishing shot where we see a dragon flying in the distance. I asked Ayer where the idea for the dragon came from and if it can talk. Scripted by Max Landis and directed by David Ayer (Suicide Squad), Bright takes place in an alternate present day in which humans live alongside magic folk like elves and orcs. 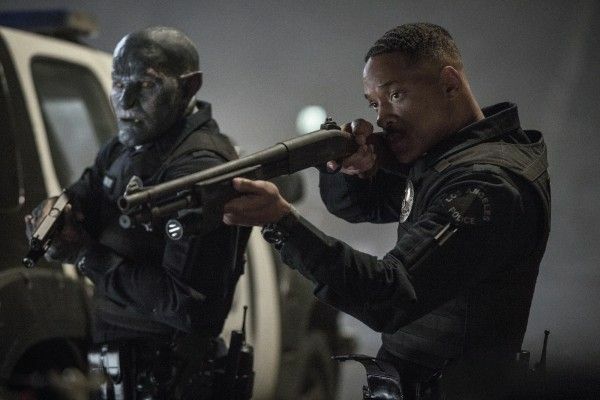 Joel Edgerton plays the first orc to join the LAPD, where he’s paired with a human character played by Will Smith. Together, the two must navigate their own personal differences while uncovering a conspiracy that threatens the future of the world as they know it. Check out what David Ayer had to say in the player above and below is exactly what we talked about followed by the official synopsis. How did he enjoy the CCXP panel in Brazil? How everything about the editing process was like a big studio film including test screenings. What did he learn from early screenings that impacted the finished film? Where did the idea for the Dragon come from? Can Dragons talk? What was it like working with Netflix on their first big budget original movie? His thoughts on how Netflix doesn’t share their numbers? Are there a lot of deleted scenes from Suicide Squad that have still never been released? What’s the status of Gotham City Sirens? How his next project is a series on Starz. How does he craft his action scenes?